“Vesalia hospitalis - hospitable Wesel”. Wesel was granted this name of honour in 1578 by Flemish religious refugees who felt very welcome here. Hospitable and open minded is how Wesel presents itself even today. In 1407 the city of Wesel joined the Hansa and became powerful and influential. Because of its location near the rivers Rhine and Lippe, Wesel gained significance for the trade especially with the Netherlands and Westphalia and became almost as important as Cologne. But its location was also the reason why Wesel was destroyed almost completely during the Second World War. 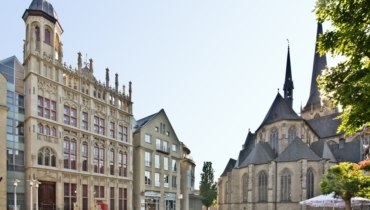 Today, after the reconstruction, the Willibrordi-Catherdral and the rebuilt historical town hall facade are signs of the Hanseatic times. The fact that Wesel lies in an ideal position at the point where the Lippe flows into the Rhine was one of the reasons for the economic flourish of Wesel during the middle Ages. This important factor enabled Wesel to be promoted to Town status by the young Earl Ditrich of Cleve in the Year 1241, thus providing the population of Wesel with certain privileges. At its peak during the late Middle Ages Wesel and Cologne were amongst the most prestigious members of the inland "Hanseatic League". Wesels membership continued until the end of the year 1669. 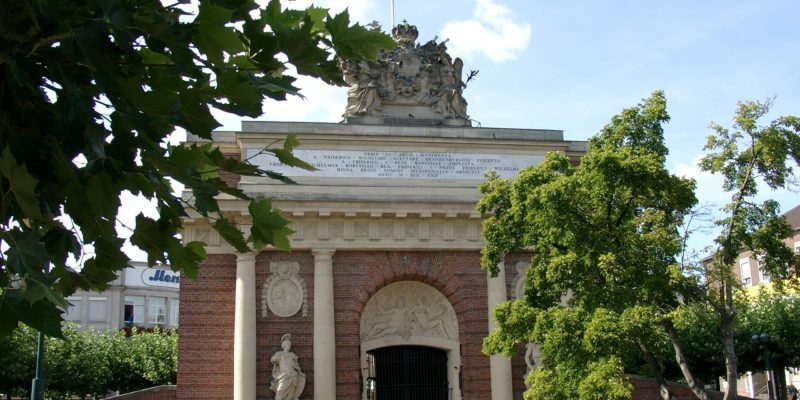 We are very proud of its venerable history as a Hanseatic city as well as the cultural variety to be found throughout the town. Important attractions are the Prussian Museum, situated in the cultural centre “Zitadelle”, and the imposing Willibrordi cathedral that shapes the silhouette of the town. A stroll through the lively city centre can easily be combined with the cultural sights between Berliner Tor and Großer Markt. 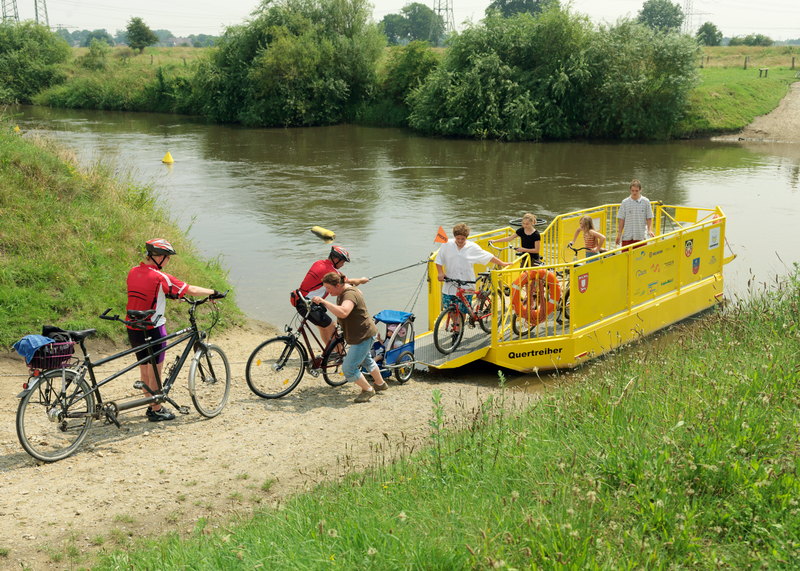 You can also enjoy Wesel and the peaceful Lower Rhine Region alongside the Rhine and Lippe by bike. 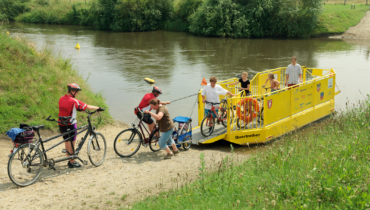 Wesel is a bicycle-friendly town and was granted the “German Bicycle Award” for its ferry crossing the Lippe called “Quertreiber”. Traditionally connected to the Hanseatic League commerce and trade are of high significance. Wesel is an attractive and growing business location for well known major companies as well as medium-sized firms, trade and commerce. As Wesel is the county town of the area, many of the area’s administrative offices and social and civil services are located here.